We’re a bit late to the party but we recently got in a few games of WizK!ds’ Star Trek: Fleet Captains. As Russ noted in the excellent D6 Generation Review of the game, it is a great title. It is not only an excellent game but a great operational starship game in general. It really gives you the feeling of commanding a fleet of ships accomplishing a variety of missions. The latest Romulan Empire expansion not only adds the ability to have a game with three players but provides a whole new faction for two player games. ST:FC contains 24 nicely detailed plastic miniatures (and Romulan Empire adds 12 more). The ships are all unpainted but of crisp hard plastic. As you can see from the photos below they paint up very well with minimal effort. If you have any interest in Star Trek then Fleet Captains is a must get. If you like operational starship games give it a look as well. But after our look at the new Star Trek: Attack Wing we had a particular interest in the miniatures. 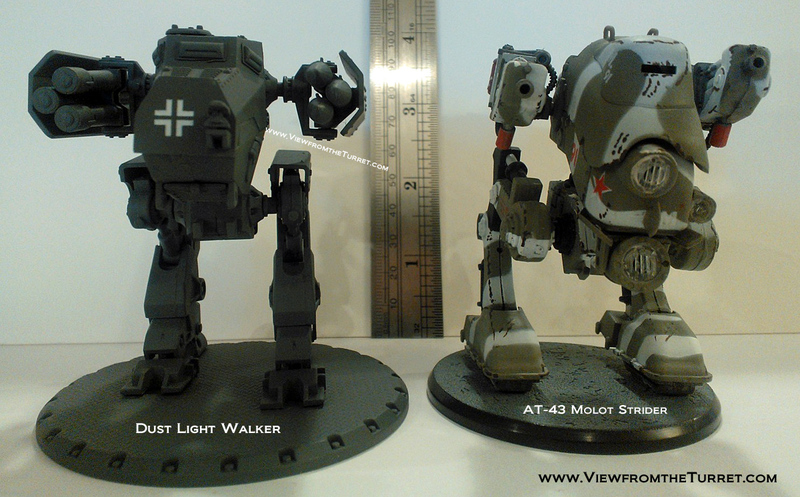 As previously noted, ST:FC comes with 24 nicely detailed plastic miniatures. They are all based on HeroClix bases so we decided to pick up a few ships from Star Trek: Tactics to compare them. Well it turns out that the ships from Star Trek: Fleet Captains, Attack Wing and Tactics are all identical. Of course different ships in the various lines may be released in the future but for the same ship the model across all three game lines is identical. ST:FC and ST:T both use the Clix base but the stats are different. Attack Wing of course uses the FlightPath bases. As mentioned, the ST:FC minis are unpainted. The Attack Wing and Tactics minis are fully painted. 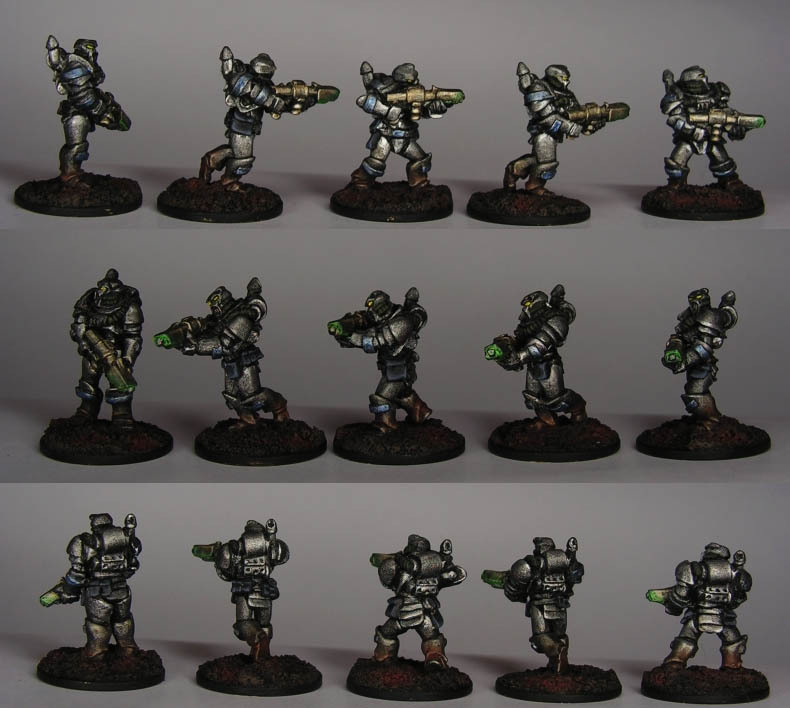 They are almost identical but the Tactics minis have just a few more details picked out and some ships have a semi-gloss finish but they are so close that one can consider them the same. This cross pollination of ship models has a few consequences. 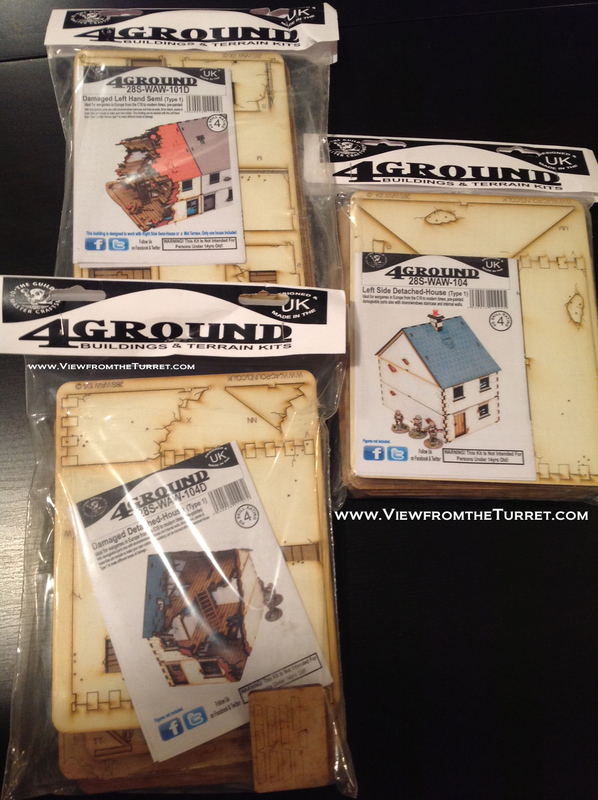 First, it gives Attack Wing fans a glimpse as to what is probably coming down the road for future releases. Secondly, it also means if you own any of the other models they could be mixed in with the other games. So, for example, if you have, or can get cheap, some Tactics minis you can pop them off their base and replace the unpainted ST: Fleet Captains’ models and bingo you have a nicely painted ship with almost no effort. Because Attack Wing ships come with a couple versions you could take the model from one of the other games instead of buying a second Attack Wing version. ST:FC original unpainted Klingon ships vs painted ones. ST:FC painted ship compared to original ST:Tactics ship. ST:Tactics mini on FC base compared to original FC mini. Comparison of Klingon ships across ST:FC, AW, Tactics. 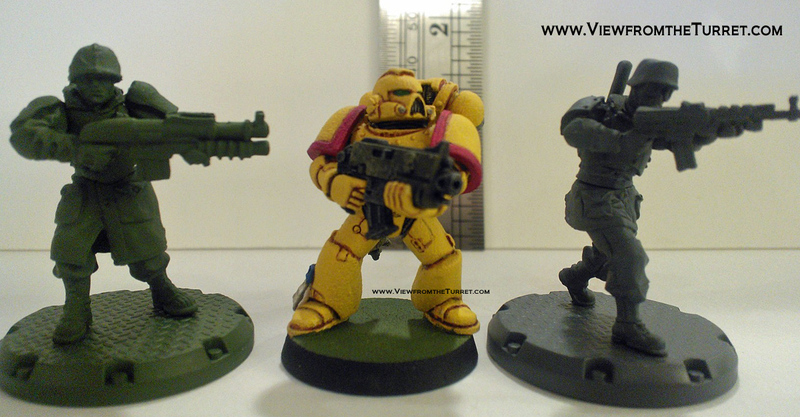 Comparison of Starline 2500 minis with ST:FC and Attack Wing. 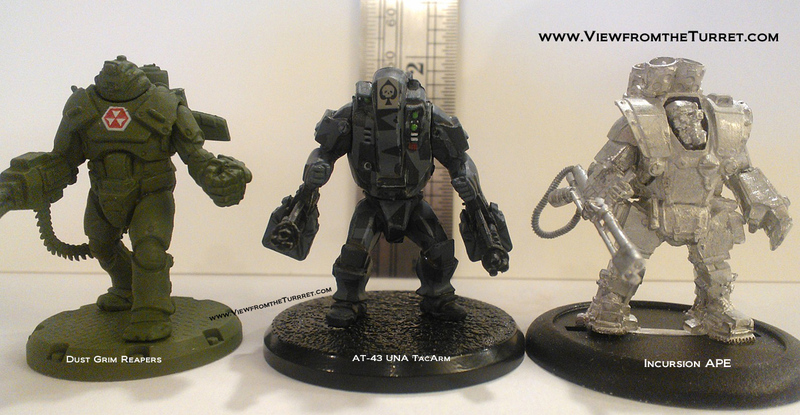 This entry was posted in Board Wargames, Miniature Wargames, Reviews, Sci-Fi, Star Trek. 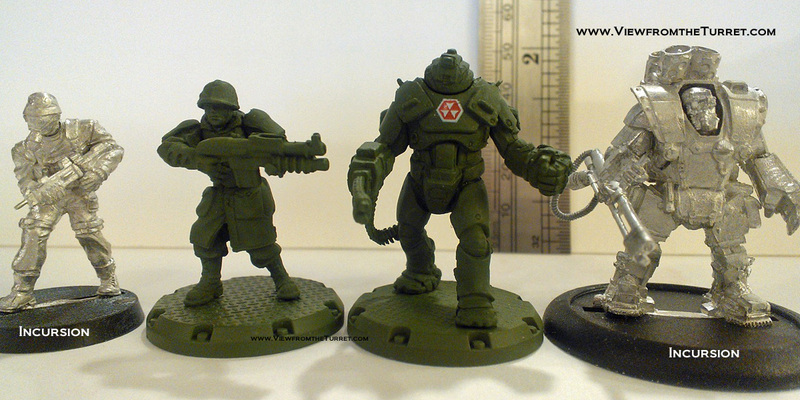 We just picked up some Khurasan 15mm sci-fi minis including the, somewhat, new Advanced Superheavy Grav Tank. We had no idea when we ordered it that they weren’t kidding about the superheavy part! 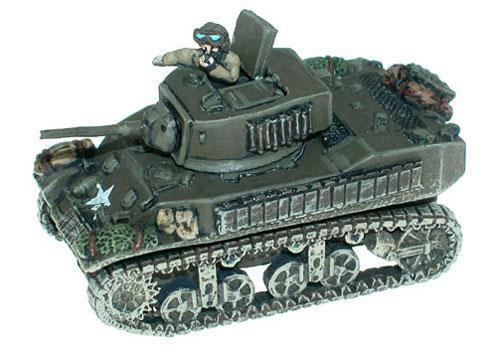 Like most of the Khurasan vehicle minis, the tank is made out of a nice resin that is very crisp with little flash or mold issues. The resin is a bit soft so you need to be careful when prepping it. The tank is made of five pieces and assembles easily. 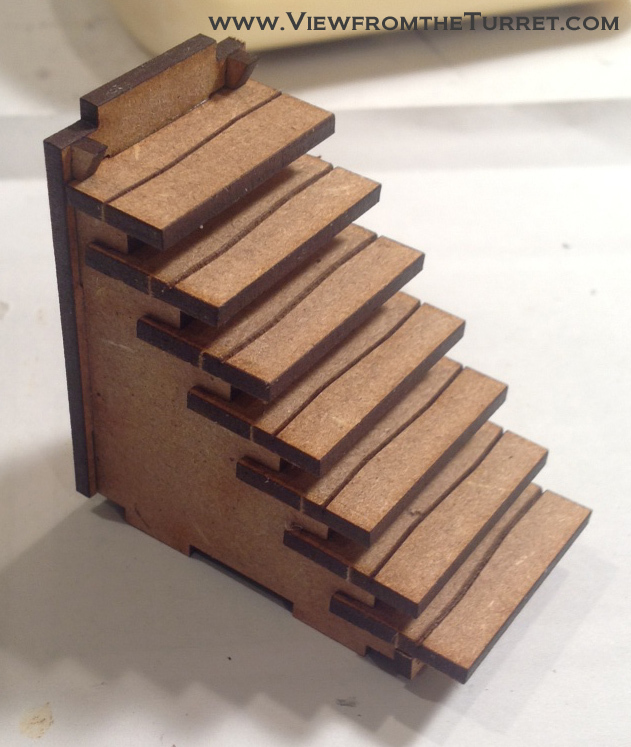 The kit includes two barrel options that are easily magnetized. But it was the sheer size for which we were unprepared. As you can see in the accompanying photos it is easily one of the largest 15mm tanks we have seen. It is even larger than their own Tracked Superheavy Tank (also has grav options) and even Critical Mass Games’ Kaamados Dominion Dragamaa Heavy Tank. 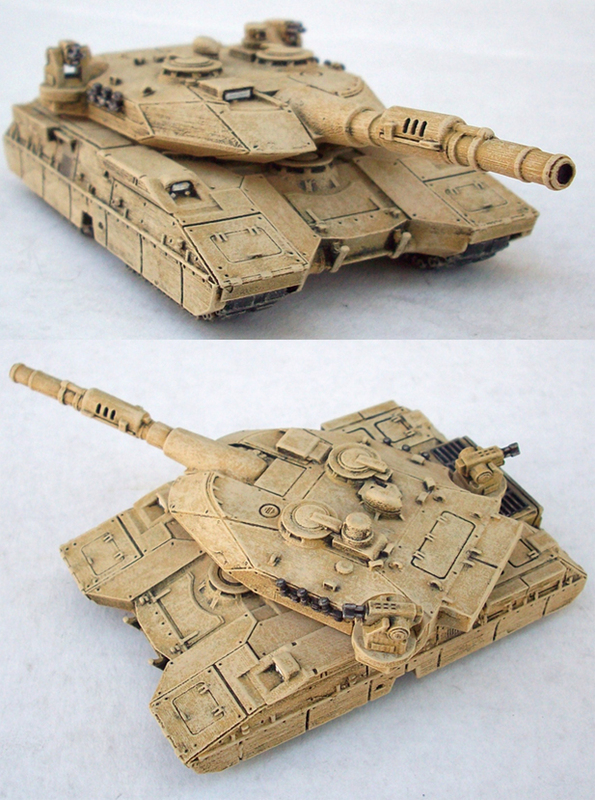 The design is such that it could easily be used in 20mm games as a medium tank or possibly even in 28mm as a small tank. 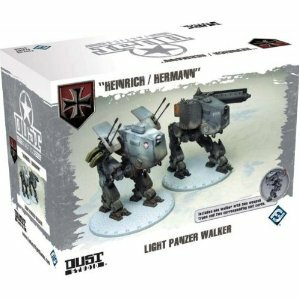 We really like the look and the tank goes well with 15mm power armored troops such as Khurasan’s own Mid-Tech Humans in Power Armor troops or Critical Mass’ Arc Fleet Heavy Drop Troops and Augments. 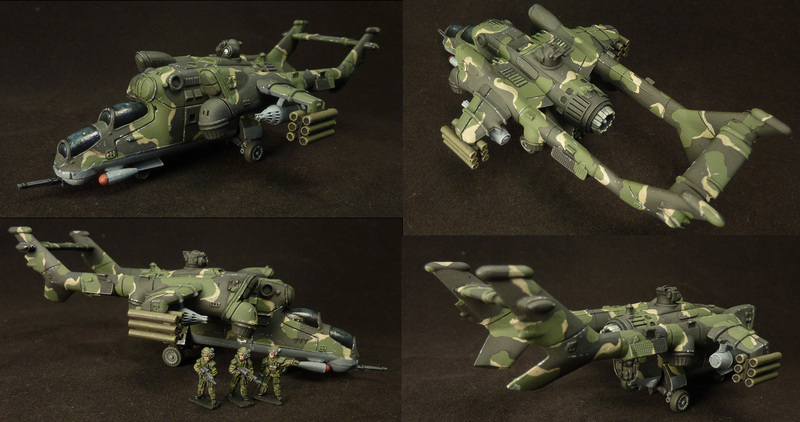 We also grabbed the Khurasan 15mm Red Faction VTOL Gunship. It is sort of a cross between a Mil Mi-24 Hind gunship and an OV-10 Bronco aircraft, which is to say it has a nice mean look to it. Its size is also very good without being too big. 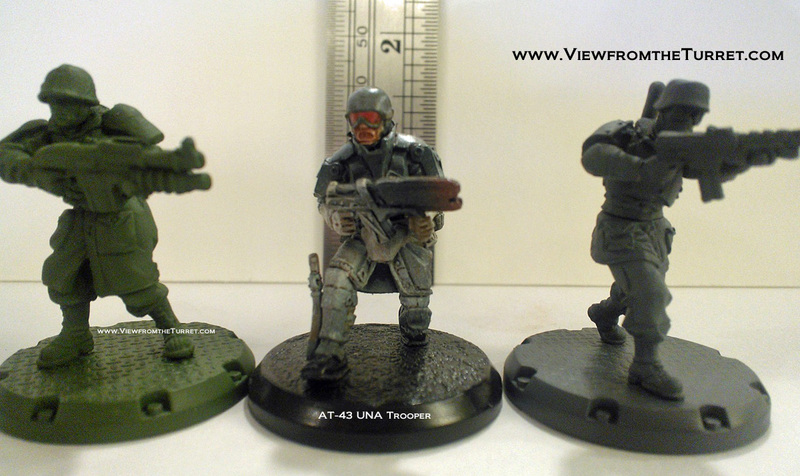 As you can see from the photos below it scales well with a Battlefront 15mm UH-1 Huey helicopter. If you want to bring your troops to the battlefield with style check it out for yourself. 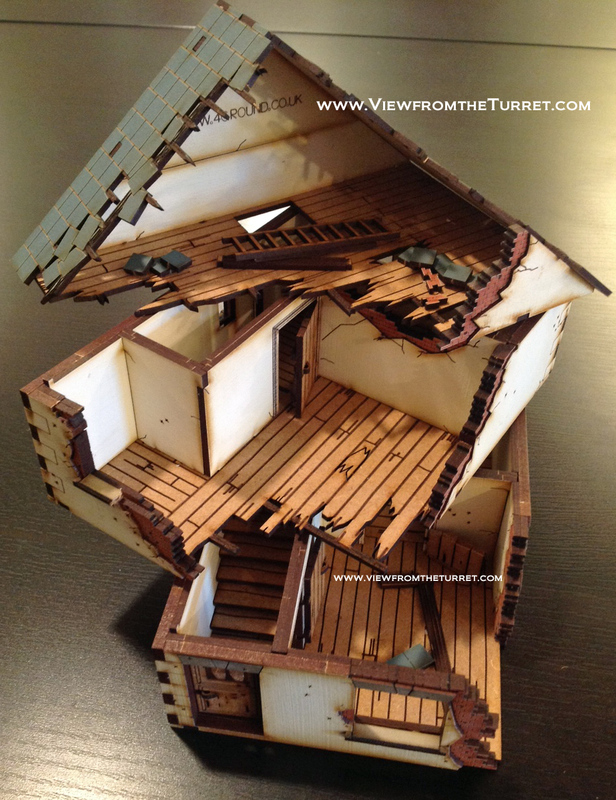 This entry was posted in 15mm, Miniature Wargames, Reviews, Sci-Fi. Well we looked at the gaming significance of the original iPad and the iPad2 so we suppose we should look at the iPad3 as well. The new Apple iPad3, also known as the New iPad or officially as simply the iPad, is perhaps the first complete iPad Apple has released so far. Its improvements over the iPad2 are not huge but are nonetheless significant. A 2048×1536 screen is twice the resolution of previous models. Driving all those pixels is a quad-core graphics chip along with a 4G LTE connection for fast mobile connection speeds. Also new is a a much better outward facing camera (although the facing camera is the same). But ultimately it retains many of the traits of the iPad2. But what does the iPad3 mean for gamers? Well probably quite a bit actually. The increased resolution increases the capabilities of the iPad significantly. For example, on my home 24″ LCD display I am running 1920×1080 resolution. That means the new iPad actually has more screen real estate. Now of course everything will be smaller but you start to get the significance of the new display. This fact got brought home just recently when Matrix Games and Slitherine released Battle Academy for the iPad. Not only is this perhaps the first real historical wargame for the iPad it is identical to the Windows version and even compatible for online PBEM gaming. In fact there are now a huge number of euro game titles in the pipeline for iOS including Le Havre, Eclipse and a number of titles from GMT Games including Nightfighter, Manoeuvre, and Space Empires. The new screen resolution and horsepower may very well bring a whole lot more gaming goodness to the iPad soon. Games: With the new iPad out it is probably time to update our previous list of iOS games. Apache Sim HD is a nice AH-64 Apache simulator for the iPad. Aliens versus Humans. We have not tried this one yet but it looks like the old XCom game on iOS. Alien Menace is a card game adaptation that works well. Bang! is an excellent port of the classic card game. The app is now updated and supports full play. Battle Academy is the first historical wargame for the iPad. All the capabilities of the desktop version. Caylus is a faithful reproduction of the board game. Crimson Steam Pirates is a fun steampunk naval game with a mild Dystopian Wars feel. Great Little Wargame HD is perhaps the first wargame before Battle Academy but is much lighter and without the history. The AI is ok but has trouble with naval and air use. Hunters: Episode One and Hunters 2 are Space Hulk-esque top down, turn-based tactical combat games. iBomber Defense Pacfic is a nice tower defense game with a WW2 theme that adds a few twists on the original. Legion of the Damned was the first wargame we found in a sci-fi setting. The AI is quite good as well. Operation: Eradicate is essentially Pandemic with a Zombie theme. Starbase Orion is almost a direct port of the classic Masters of Orion 4x game. Ticket to Ride is a perfect port of the boardgame and expansions. You can play against the AI, pass and play or play online. Zombie Gunship is a nice simple shooter where you take the role of a gunship gunner to take out zombies. Brrraaaaiiinnnsss! Game Reference: Not a lot new here unfortunately. GoodReader continues to be the best overall file manager and reader. PDF support has only gotten better. Notability We dumped Simplenote for Notability. It syncs with DropBox and supports a lot of basic formatting that is much more useful than the plain text of Simplenote. I Ain’t Been Shot Mum TooFatLardies released the new version 3 rules as a PDF/tablet version that was available before the print. If only more publishers would do this. 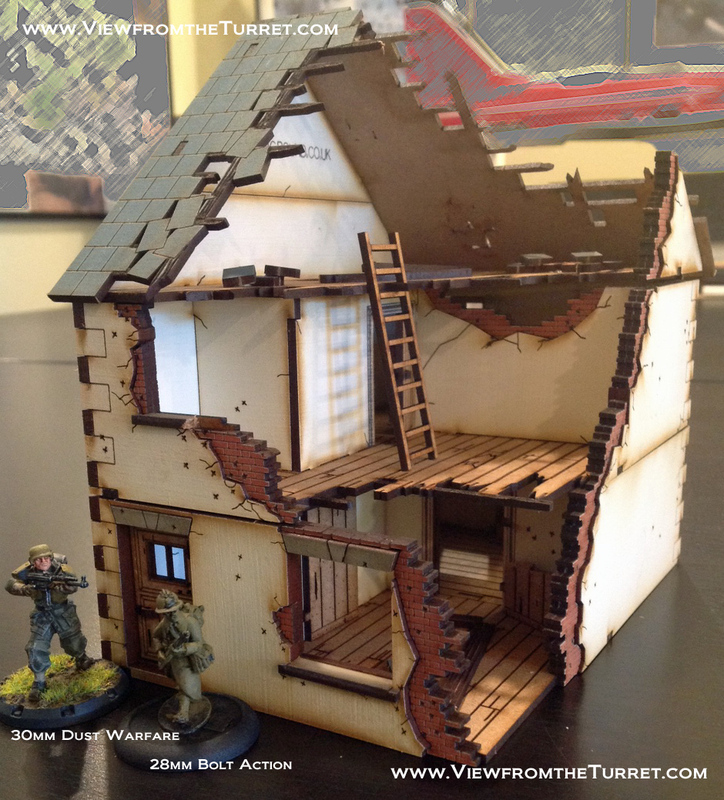 This entry was posted in Computer Wargames, iPad Gaming, News and Updates, Reviews. The Gents over at the Three Moves Ahead podcast deliver an excellent review of Wargame: European Escalation in their latest Episode 160. We haven’t played the game yet ourselves but they give it overall high marks and make a great case for giving the game a try. The trailer video for the game certainly looks nice as do the screen shots. The game is certainly not lacking in eye candy. A horrible name perhaps but Wargame: European Escalation provides a unique take on the RTS genre by mixing in Cold War-era history with a solid RTS game. Not a simulation by any means, the game still manages to provide that wargame feel in an RTS package. 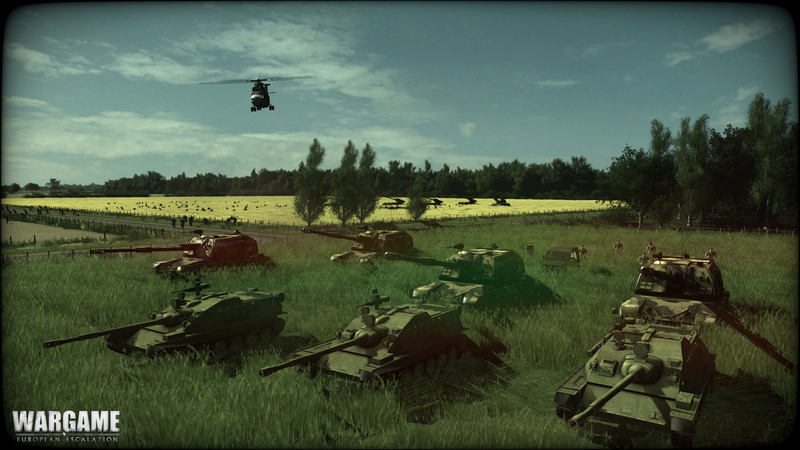 A combat-based point scoring system combined with territory capturing and supply gives the game a unique enough mix to warrant a look. The game is available on Steam. Also see the developer’s game site. This entry was posted in Computer Wargames, Modern, News and Updates, Podcasts, Reviews. 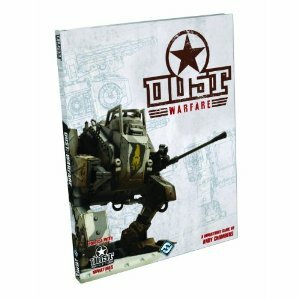 Matrix Games recently released a new operational-level computer wargame by 2×2 Games. Unity of Command covers the battle for Stalingrad during World War Two. Each hex in the game is 20km and each turn is four days. The interface uses a very simple and clean click methodology that highlights available actions. Visually the game looks great but can turn off some folks at first blush. The map and interface are very clean and stark but then the units themselves are 3D vehicles and, uniquely, figure busts for infantry. This of course immediately raises concerns by veteran wargamers that this is not a serious game. But you quickly get used to the unit designs and they do aid in information delivery with different unit types represented by different 3D models. But for those still not happy, supposedly an alternate unit set is in the works as a mod. The game manages to stride that tough line of being a simple game to learn but still provides enough depth and challenge to engage veteran players. The center piece of the game design is certainly the supply system. Unlike almost all other wargames Unity of Command uses proportional supply where you actually see your supply wither the further it gets from supply points. Again the interface makes this very clear. 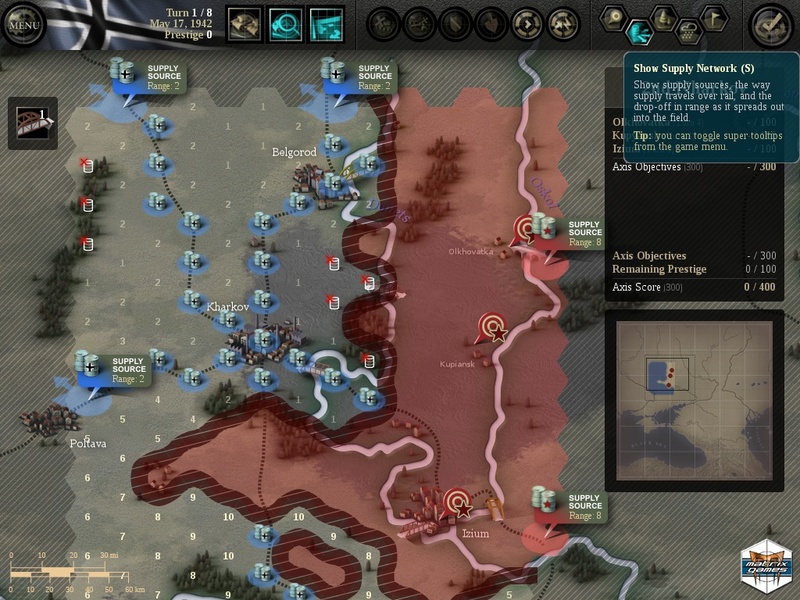 It is a key point in the game and managing your supply properly is crucial to victory. The AI is challenging and over 17 scenarios are included so replay value is very high. You can also play in hot-seat mode and over the Internet. Unity of Command comes with a very well done manual. It is a 40-page full color PDF with plenty of illustrations. It explains the game mechanics quite well except, oddly, it doesn’t provide as much information on the supply mechanic as we would have liked. A few examples of how one gets out of supply and perhaps how one could alleviate certain conditions would have been nice. But overall you have more than enough to get you going and make you feel you understand what is going on underneath with the game. The Three Moves Ahead podcast Episode 148 has a great 48 minute discussion/review of all facets of Unity of Command. If you have any interest in the game this is a must listen. 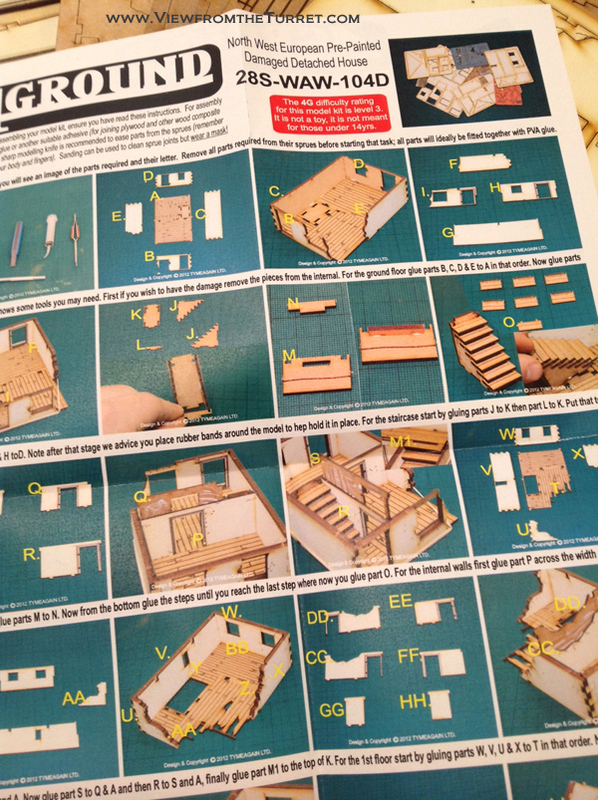 The Wargamer also has a short but useful review. This entry was posted in Computer Wargames, Reviews, WW2.